The government’s primary function is to make policy, protect your civil liberties through its officers and to engage in service delivery through government institutions. In short, the government works for you. To operate efficiently, it acquires massive amounts of funds every year in form of taxes from your very own pockets. You give your hard earned money away and you deserve the best of services any government could offer. Well, efficient service delivery is not possible without reliable technology and technological infrastructure. When the internet was invented, elaborate government websites soon came up and you could pose queries and get assisted right at the comfort of your living room. Today we have the Blockchain technology, a relatively new kid on the block with a wide scope of useful applications. Government officials need to know as much as possible about the Blockchain technology so that they could reap its benefits for the sake of the people they serve. The blockchain is a secured list of records called blocks that are created when time-stamped transactions in a Blockchain network occur. Records in the blocks cannot be altered without altering the whole chain of blocks. This makes the records resistant to modification and hence very reliable and credible means of transaction, tracking, verification and the storage and management of data. The best part is that the system is decentralised; it is managed by a peer-to-peer network and this makes it impossible to corrupt. Allowing Blockchain technology for government use actually means giving power back to the people. The people become the government and government officials become facilitators of service delivery. This formation helps to save on time, human resource and finances and service delivery becomes fast, secure and credible. Governments are quickly waking up to the benefits of the Blockchain technology and they are exploring it. This became apparent when the European parliament passed a resolution to support Blockchain and Distributed Ledger Technologies on the 16th of May 2018. The funds and assistance that would come with the resolution would help develop several crucial government functions in scientific and technological innovations, healthcare and energy sectors. The GDPR (General Data Protection Regulation) law is also coming to play on the 26th of May. It is a regulation on privacy and data protection for individuals within the EU. It aims to give citizens control over their personal data and simplify regulatory environment for international businesses within the EU. This signals that governing authorities are opening up to decentralised systems. 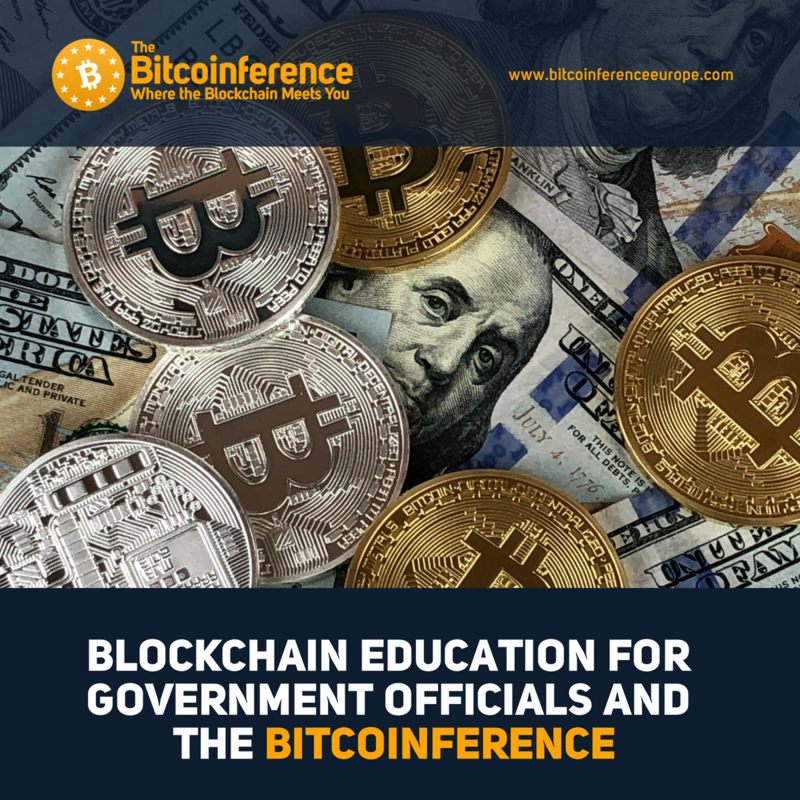 Government officials need to be Blockchain literate because the technology will soon be a mainstream instrument in the service delivery infrastructure. They need to know what it is, how to use it and how it can be effectively applied in various government sectors. The best place to garner and deliberate on such information is the Bitcoinference which will be taking place in Brussels on 1st of June. Through the various speakers lined up, the one-day conference will focus on the future of financial systems and the potential opportunities that come with the Blockchain technology.